Japan Australia suggested Tsu (津 / a city in Mie), tsukimi (月見 / moon viewing), Tsukiji Shijo (築地市場 / Tsukiji Fish Market in Tokyo), and Tsumago-juku (妻籠宿 / a post town in Nagano Prefecture); lovelycomplex22 also suggested Tsukiji; Sophienokatana suggested Tsukiji too, and Tsugumi Ohba (大場 つぐみ / a manga writer, best known for Death Note); and UK Seikatsu suggested Tsukiji Shijo, Tsukishima (月島 / a place in Chuo, Tokyo), tsukudani (佃煮 / small seafood, meat or seaweed that has been simmered in soy sauce and mirin), Tsunoda Hiro (つのだひろ / a drummer and singer), Tsunoda Jiro (つのだじろう / a manga artist), Tsugaru (津軽 / a city in Aomori), and Tsugaru-jamisen (津軽三味線 / the Japanese traditional three strings guitar). Tsumago (or Tsumago-juku, to give it its full name) is a post town which is part of the old Nakasendo (中山道) – one of the five routes of the Edo period (1603 – 1868), and one of the two that connected Edo (Tokyo) to Kyoto. 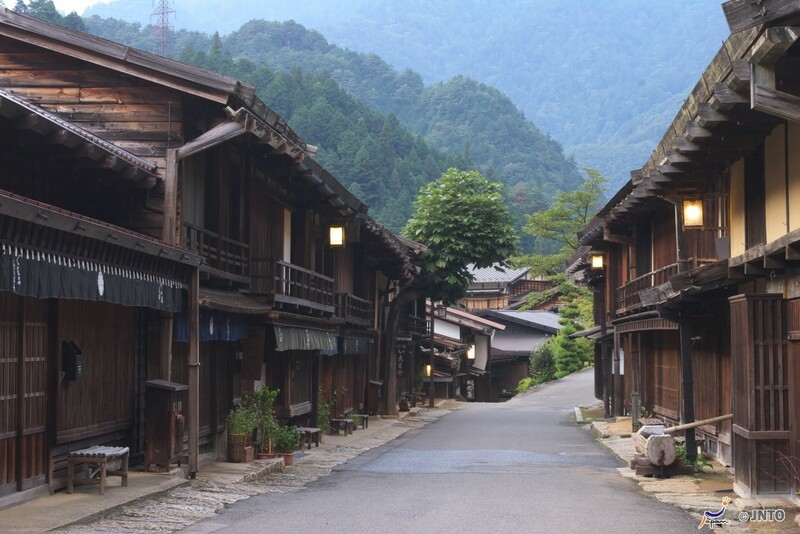 Tsumago is usually coupled with another post town from the Nakasendo – Magome-juku (馬籠宿), in Gifu Prefecture (岐阜県). These two towns are often put together because there’s a lovely walk you can do between them. The gentle hike is just under 8km long, and takes you along a scenic, well-kept path between the two preserved towns. I’ve been to Magome, but unfortunately I didn’t have the chance to visit Tsumago. I’d love to go back some day and do the hike between the two towns – I bet I’d take hundreds of photos! Tsumago is in Nagano Prefecture (長野県), and is roughly in the middle between Tokyo and Kyoto, making it an ideal place for a stop off when you’re travelling across Honshu. The town has been restored to the way it would have looked during the Edo period, and in 1976 the town was designated by the Japanese government as a ‘Nationally-designated Architectural Preservation Site’. Throughout the year, and especially during spring and autumn, Tsumago is very popular with tourists both Japanese and foreign. Tsumago is not just a tourist attraction though – the houses are inhabited and the shops (many of them selling good-quality souvenirs) are all active businesses. 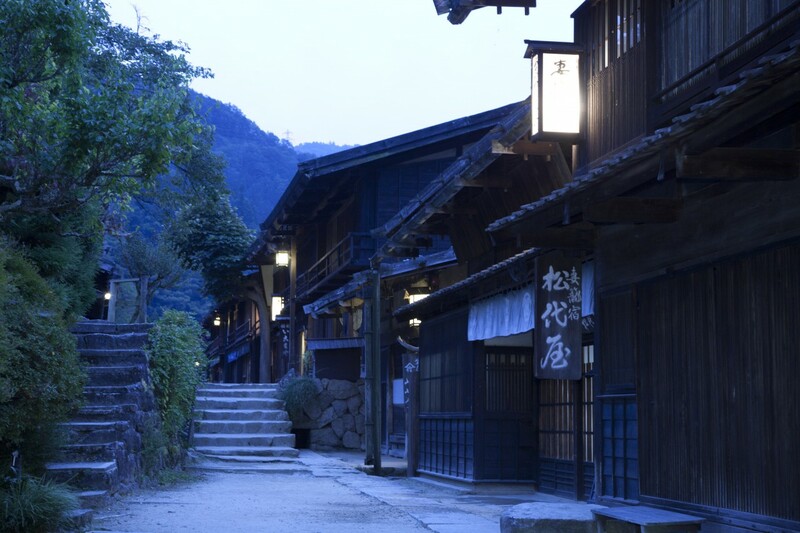 There are a number of traditional inns in Tsumago, so you can even enjoy staying there over night. I think Tsumago would be a really interesting place to explore, and it would be easy to lose yourself in the past and imagine how life would have been during the Edo period. As I’ve mentioned previously, I would love to walk the Tokaido (東海道) route, which is also one of the Edo Five Routes. I also think walking the Nakasendo would be fascinating, although the Tsumago and Magome portion of the route is the most well-preserved part and much of the rest of the route wouldn’t be walkable in the same way. Still, it would be interesting to see how things look today and to see how much of the route is accessible. 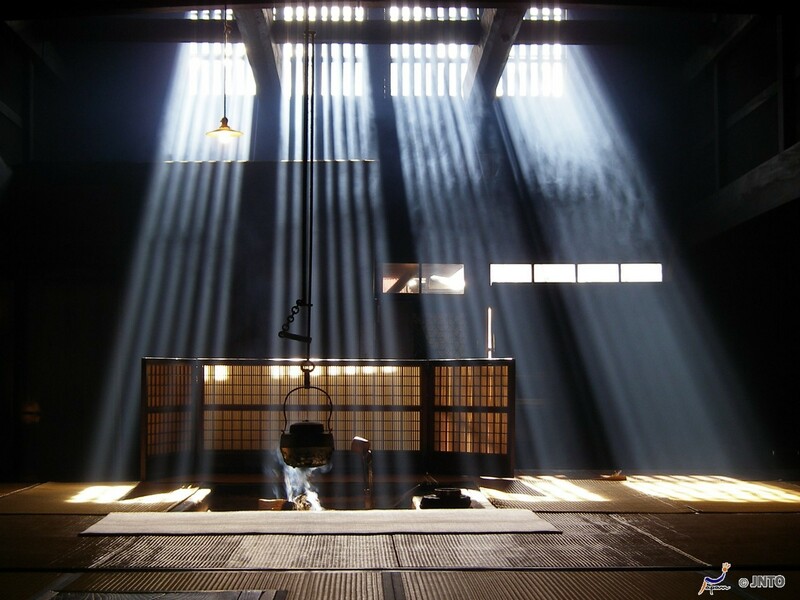 For more information about Tsumago, I recommend visiting JNTO, Japan Guide or the Tsumago-juku website. Next week we’ll start with て (te), so please leave a comment below suggesting a topic for things beginning with て. Topics can be anything, as long as they are connected to Japan – food, places, people, characters, whatever you want to hear about! Just remember that the words you suggest must be Japanese words. I’ve never been to Magome or Tsumago. I wanted to go this April, but the weather during my vacation time was really bad. Then, I wanted to go during Golden Week, but started planning too late, so there were no hotel / minshuku rooms available anymore! ^^; …. Thanks for the ‘te’ suggestions! Thanks for showing photos of Tsumago. I’ve done the hike, and it’s great. No problem! Glad to hear you enjoyed the hike – must do it myself some day! Thanks for using my suggestion 🙂 Tsumago is a great part of Japan and a must see for the keen tourist. You definitely feel like you have stepped back in time when you visit this place. A few suggestions for next week include: Tempura, Tebasaki (spicy chicken wings from Nagoya), Tenmusu (a rice ball with a battered prawn inside), and Tera (temple). Thanks for suggesting it! And thanks for next week’s suggestions, too! Ah, two delicious foods from Nagoya – tebasaki and tenmusu. Natsukshii! How about tempura or tera (寺)? Haruko-chan, that sounds like a perfect night!